Agricultural Biotechnology Intellectual Property - This database, from the Economic Research Service, identifies and describes U.S. utility patents on inventions in biotechnology and other biological processes - with issue dates between 1976 and 2000 - that are used in food and agriculture. The database also provides information about the ownership of these patents, whether patents are held in the public or private sector, and changes in patent ownership due to firm mergers, acquisitions, and spinoffs. Agricultural Land Values and Cash Rents Annual Summary - This full-text report provides data on agricultural land values and cash rents, utilizing a Jan. 1 reference date for land values and the crop or grazing year for cash rents. Includes, by state and region, average value per acre for farm real estate (farmland and buildings), average cash rent per acre for cropland rented, average cash rent per acre for pasture rented. Initial release is a combined report; subsequent reports will be released at different times of the year; agricultural land values in spring; agricultural cash rents in summer. Agricultural Conferences, Meetings, Seminars Calendar - Central repository for information and links to information concerning agricultural conferences of scientific significance. Agricultural Network Information Center (AgNIC) - A distributed network that provides access to agriculture-related information, subject area experts, and other resources. It was established by an alliance of the National Agricultural Library, land-grant universities, and other organizations committed to facilitating public access to agricultural and related information. Agricultural Research Service (ARS) - U.S. Department of Agriculture's main in-house scientific research agency. Agriculture and Environment Biotechnology Commission (AEBC-UK) - Provides UK government and devolved administrations with independent, strategic advice on developments in biotechnology and their implications for agriculture and the environment. Agriculture Online - Agriculture news, discussion and information. Agriculture Publications - Directory provided by University of Missouri-Columbia. AgricultureLaw - Providing farmers and ranchers with the most complete source of timely information and ideas on agricultural policy. Alternative Farming Systems Information Center (AFSIC) - One of several topic-oriented Information Centers at the National Agricultural Library (NAL). The Library, located in Beltsville, Maryland, is the foremost agricultural library in the world, and is one of four U.S. national libraries along with the Library of Congress, the National Library of Medicine, and the National Library of Education. NAL is part of the U.S. Department of Agriculture (USDA) and and the Agricultural Research Service (ARS). American Farm Bureau - The largest general farm organization in the U.S.
American Farmland Trust (AFT) - AFT works to stop the loss of productive farmland and to promote farming practices that lead to a healthy environment. Since its founding in 1980, AFT has helped win permanent protection for over a million acres of American farmland. American Meat Institute (AMI) - Represents the interests of the U.S. meat and poultry industry to the federal government, Congress, and the media. American National CattleWomen - Voice for women in the United States beef cattle industry. Animal and Plant Health Inspection Service (APHIS) - Responsible for protecting and promoting U.S. agricultural health, administering the Animal Welfare Act, and carrying out wildlife damage management activities. Animal Agriculture - Find cattle, equine, poultry, sheep and swine health news, information, and resources. Animal Welfare Act - The complete Animal Welfare Act including all amendments (1970, 1976, 1985, 1990) following the 1966 enactment. BBC News: Foot and Mouth Outbreak - Background and news regarding the foot and mouth outbreakk in the UK. Beef - Beef industry resource. British Poultry Council (BPC) - Membership of the BPC includes companies and individuals engaged in breeding, hatching, rearing and processing chickens, turkeys, ducks and geese to produce poultry meat. California Department of Food and Agriculture (CDFA) - Promotes California agriculture. California Farm Bureau Federation (CFBF) - California's largest farm organization with more than 89,000 member families in 53 county Farm Bureaus. Also see the CFBF's Ag Alert newsletter. California Farmers Union - An affiliate member of National Farmers Union. Canadian Biotechnology Action Network (CBAN) - Promotes food sovereignty and democratic decision-making on science and technology issues in order to protect the integrity of the environment, health, food, and the livelihoods of people in Canada. Cattle Network - Cattle and beef portal. CattleFax - Provides cattle and beef industry statistics and market and economic analysis. Center for Agriculture in the Environment - Jointly created by American Farmland Trust and Northern Illinois University in 1991 to help protect America's agricultural lands and to encourage healthy farming practices. Center for Sustaining Agriculture and Natural Resources (CSANR) - Develops and fosters agriculture and natural resource management approaches that are economically viable, environmentally sound, and socially acceptable. Facilitates and recommends new research and education programs that sustain agriculture and natural resources. Coalition to Support Iowa's Farmers - The Coalition provides individual farm families with specific help in understanding, implementing and following rules and regulations covering animal agriculture. Its mission: to help grow communities - one farmer at a time. Six Iowa farm and commodity organizations created this strategic effort. They include: Iowa Cattlemen's Association; Iowa Corn Growers Association; Iowa Farm Bureau; Iowa Poultry Association; Iowa Pork Producers Association; and Iowa Soybean Association. Committee on Agricultural Biotechonology, Health, and the Environment - Standing committee helping identify emerging issues in the broad areas of agricultural biotechnology convened by the National Research Council's (NRC) Board on Life Sciences and Board on Agriculture and Natural Resources. Commodity Credit Corporation (CCC) - A U.S. Government-owned and operated entity that was created to stabilize, support, and protect farm income and prices. CCC also helps maintain balanced and adequate supplies of agricultural commodities and aids in their orderly distribution. Community Alliance with Family Farmers (CAFF) - CAFF political and educational campaigns are building a movement of rural and urban people who foster family-scale agriculture that cares for the land, sustains local economies, and promotes social justice. Members are urbanites, farmers, environmentalists, rural activists, students, and anyone concerned with the social and environmental dimensions of agriculture. Community Supported Agriculture (CSA) - CSA resources provided by the University of Massachusetts Extension. CSA is a partnership of mutual commitment between a farm and a community of supporters which provides a direct link between the production and consumption of food. Supporters cover a farm's yearly operating budget by purchasing a share of the season's harvest. Community Supported Agriculture (CSA) at AFSIC - This CSA information resource is a cooperative effort between the Cooperative State Research Education and Extension Service (CSREES) and the National Agricultural Library (NAL) of the U.S. Department of Agriculture (USDA). Specific programs include the Sustainable Agriculture Network (SAN) and NAL's Alternative Farming Systems Information Center (AFSIC). Congressional Research Service Reports - Agriculture and food issues. Provided thru the National Agricultural Law Center at the University of Arkansas School of Law. Conservation Programs - Summary of conservation programs provided by Farm Service Agency. Conservation Reserve Program (CRP) - The CRP offers landowners, operators, and tenants the opportunity to voluntarily convert land with high erosion rates and other environmentally sensitive land to permanent vegetative cover. Permanent cover options include grasses and legumes, tree plantings, and wildlife habitat. The program goals are to reduce soil erosion, enhance fish and wildlife habitat, improve water quality, protect the soils on the nation's cropland base, demonstrate good land stewardship, and improve rural aesthetics. The program aims to protect the nation's long-term ability to produce food and fiber by effectively managing agricultural resources, reducing soil erosion, reducing sedimentation, improving water quality, creating a better habitat for fish and wildlife, providing some needed income support for farmers, and curbing production of some surplus commodities. Financial and technical assistance is available to participants to help establish a permanent vegetative cover. Also, cash paid here for your remaining annual CRP payments. Will convert your future CRP payments into a lump-sum payment now. Corn Production - Iowa State University research and extension site equipping producers and agronomists with the information they need to continue advancing corn production in Iowa. Cornutopia Institute - Dedicated to the fight for economic justice for the family-scale farming community. Through research, advocacy, and economic development our goal is to empower farmers both politically and through marketplace initiatives. Corporate Agribusiness Research Project (CARP) - Established to monitor corporate agribusiness from a public interest perspective through awareness, education, and action while at the same time advocating the importance of building alternative, democratically controlled food systems. Crop Insurance Research Bureau (CIRB) - A national trade association of crop insurers and other organizations who lend support to and promote the crop insurance industry. CIRB members insure crops in nearly every state of the union and provide billions of dollars in crop hail and multiple peril crop insurance (MPCI) protection. CSREES - Congress created CSREES through the 1994 Department Reorganization Act. The former Cooperative State Research Service (CSRS) and the former Extension Service (ES) - two unique USDA agencies - were combined that year into a single agency. CSREES provides U.S. federal leadership in creating and disseminating knowledge spanning the biological, physical, and social sciences related to agricultural research, economic analysis, statistics, extension, and higher education. Department for Environment, Food & Rural Affairs (DEFRA - UK) - Created to take up the challenges of sustainable development, and to bring farming, the food chain, rural affairs, and the environment together to achieve more. Disaster and Drought Assistance - Crop insurance, assistance for livestock losses, and other disaster-related resources provided by USDA. Disaster Assistance Program - The USDA's Farm Service Agency provides assistance for natural disaster losses, resulting from drought, flood, fire, freeze, tornadoes, pest infestation, and other calamities. Ecological Farming Association - Promotes ecologically sound agriculture. ETC Group - Dedicated to the conservation and sustainable advancement of cultural and ecological diversity and human rights. Conducts research and analysis of technological information (particularly but not exclusively plant genetic resources, biotechnologies, and biological diversity). Farm Folk City Folk- Working on issues of food, farming, social justice, health, and the environment. Farm Gate Blog - A weekly summary of news from Extension, government, and other attributable sources, focused on marketing, farm management, and other issues that are of interest to Midwestern farm owners and operators. Farm Service Agency (FSA) - Agency serving U.S. farmers, ranchers, and agricultural partners through the delivery of agricultural programs. Farm Subsidy Database - Tracks over 108 million USDA payments totaling $114 billion. Also provides analyses, including top-recipient listings and payment concentration analyses at the state and county levels and within each major USDA program, and information on ownership interests in subsidized farms. Farmers National Company - The largest employee owned farm and ranch management, real estate and ag services company in the U.S. Farmland Information Library - Farmland protection and land use resources, including: urban sprawl, development, sprawl, farmland protection, farmland preservation, right-to-farm laws, land trusts, agricultural conservation easements. Farms - A leading provider of innovative information products and services to the global Agriculture and Food industry. Federal Crop Insurance Act as Amended - Full text 7 U.S.C. 1501 et seq., Chapter 36. Food and Agriculture Organization (FAO) of the United Nations - Mandated to raise levels of nutrition and standards of living, to improve agricultural productivity, and to better the condition of rural populations. Food Democracy Now - A grassroots community dedicated to building a sustainable food system that protects the natural environment, sustains farmers and nourishes families. Food Policy Action - Mission is to highlight the importance of food policy and to promote policies that support healthy diets, reduce hunger at home and abroad, improve food access and affordability, uphold the rights and dignity of food and farm workers, increase transparency, improve public health, reduce the risk of food-borne illness, support local and regional food systems, treat farm animals humanely and reduce the environmental impact of farming and food production. Food Safety News - Coverage of topics ranging from policy and politics to foodborne illness outbreaks to sustainability, science and research. Food, Inc. - Corporate concentration from farm to consumer, a report by a UK food group. Future Agricultures Consortium (FAC) - A partnership between leading African and UK institutions, developing evidence for policy influencing agricultural policy processes at global, national and local levels. 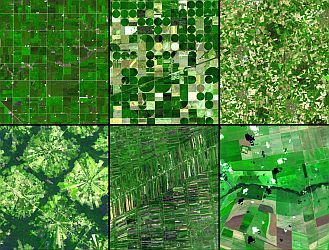 Global Crop Production Analysis - Global crop condition assessments and estimates of area, yield, and production for grains, oilseeds, and cotton. Provided by USDA. Global Resource Action Center for the Environment (GRACE): Factory Farm Project - The purpose of the Factory Farm Project is the elimination of the factory farm as a mode of production, and its replacement with a sustainable food production system that is healthful, environmentally sound, economically viable, and humane. Gone to Seed - Seeds of traditional crops are contaminated with DNA from genetically engineered (GE) crops according to Gone to Seed, a Union of Concerned Scientists' report. Gone to Seed found that seeds thought to be free of GE material are in fact pervasively contaminated. Based on these findings, we are concerned that the seed supply is inadequately protected from contamination by pharm and industrial crops. The report recommends several steps that the U.S. government should take. Grain - An international non-profit organisation that works to support small farmers and social movements in their struggles for community-controlled and biodiversity-based food systems. Illini PorkNet - Online resource for portk industry. Current topics, papers and an Ask the Expert section that allows producers to send a question to experts in such areas as nutrition, genetics, reproduction, buildings, ventilation, waste management, economics, veterinary medicine (swine health), business management, immunology, swine behavior and lactation biology. Indian Council of Agricultural Research - Conducts and promotes research and training in the field of agriculture and allied sciences. Institute of Agriculture and Natural Resources (University of Nebraska) Publications - Agricultural research and news and publications. Institute for Agriculture and Trade Policy (IATP) - Promotes resilient family farms, rural communities and ecosystems around the world through research and education, science and technology, and advocacy. Also see the Document Library. International Conference on Agrarian Reform and Rural Development (ICARRD) - ICARRD closed on March 10th, 2006, with the adoption of a Final Declaration calling for all governments to adopt rural development policies that promote agrarian reform to benefit the poor and most marginalized. The Conference affirmed that land and access to natural resources are the foundation of sustainable rural development and cultural and environmental viability. Iowa Corn - Iowa Corn Growers Association news. Iowa Farmer Today - Through the 1980s and 1990s and into the new millennium, Iowa Farmer Today has covered presidential elections, shifting farm legislation, droughts and floods, the debt crisis of the early '80s, the commodity price crisis of the late '90s, the ongoing debate surrounding genetically enhanced crops, improvements in equipment, industry consolidation, advances in crop and livestock production and the unique aspects of farm families and lifestyles. The editors are committed to presenting practical, relevant and timely news and information farmers can put to use on their farms. The editorial mix contains stories ranging from global to local in scope, high-tech to nuts-and-bolts, production to politics. Iowa Soybean Association - Seeking to expand soybean profit opportunities while promoting environmentally sensible production. Institute for Agriculture and Trade Policy (IATP) - Works locally and globally at the intersection of policy and practice to ensure fair and sustainable food, farm and trade systems. Read more about IATP's history. Land Institute, The - Seeks to develop an agricultural system with the ecological stability of the prairie and a grain yield comparable to that from annual crops. Local Harvest - A "living" public directory of small farms nationwide. Currently, Local Harvest is "a sprouting seed bed", with basic listings seeded from the USDA directory of CSAs and Farmers' Markets. Meating Place - On-line community for meat and poultry processors. Daily industry news, supplier company and equipment information, discussion forums, commodity pricing, HACCP information, and archives of past articles. Mo Better Foods - Establishing markets in the inner cities by selling fresh food grown by African American farmers. National Assessment of Agricultural Easement Programs - Reviews the progress and experiences of 46 leading agricultural conservation easement programs in 15 states. Collectively these local and state programs account for a majority of the 1.8 million agricultural acres put under easement nationwide since this technique was first seriously applied to farmland protection a quarter of a century ago. The National Assessment is a joint project of American Farmland Trust and the Agricultural Issues Center of the University of California, Davis. National Campaign for Sustainable Agriculture - Dedicated to educating the public on the importance of a sustainable food and agriculture system that is economically viable, environmentally sound, socially just, and humane. National Cattlemen's Beef Association - Beef industry trade organization. National Crop Insurance Services (NCIS) - Representing the interests of more than 60 crop insurance companies, NCIS companies write Crop-Hail Insurance; Multiple Peril Crop Insurance (MPCI), the federally subsidized risk management program; and, privately developed crop insurance products totaling approximately $3 billion in premium, with liability totaling approximately $50 billion. National Family Farm Coalition (NFFC) - Provides a voice for grassroots groups on farm, food, trade and rural economic issues to ensure fair prices for family farmers, safe and healthy food, and vibrant, environmentally sound rural communities. National Farmers Union - Officially called the Farmers Educational and Cooperative Union of America, was founded in 1902 in Point, Texas by Newt Gresham. National Farmers Union is a general farm organization with a membership of nearly 300,000 farm and ranch families throughout the United States. A federation that represents farmers and ranchers in all states in the U.S.
National Pork Board (PorkBoard) - Official site. News, information, research, resources, publications. Also see Resources. National Pork Producers Council - Pork industry trade organization. National Swine Improvement Federation (NSIF) - Assists swine breeding stock suppliers, academic personnel, and pork industry affiliates in the research, development, and utilization of scientifically-based genetic improvement programs and associated practices for the economically efficient production of high quality, nutritious pork. National Union of Autonomous Regional Farming Organizations (UNORCA) - A non-profit, non partisan coalition of Mexican campesino and indigenous farming organizations founded in March of 1985, with presence in 27 Mexican states. Its mission is to voice the concerns of the rural and indigenous populace and to dignify the life of small producers and rural workers. Natural Resource, Agriculture, and Engineering Service (NRAES) - An interdisciplinary, issue-oriented program sponsored by cooperative extension of fourteen member land grant universities. See Guide to Great Publications and Related Organizatons. Natural Resources Conservation Service - U.S. Federal agency that works in partnership with the American people to conserve and sustain natural resources on private lands. Nebraska Farmers Union - Farmers Union grew out of the need for farmers to harness the power of organization to stand up against the monopolies that controlled the railroads, ag processing, ag supplies, and the grocers. Ontario Ministry of Agriculture, Food and Rural Affairs (OMAFRA) - OMAFRA's mandate covers livestock, crops, business development, land use planning, rural development, agriculture and food research, education and laboratory services and food industry including import, export and inspection. Packers and Stockyards Act, 1921 - 7 U.S.C. 181 (.pdf, 49 pp.). Pew Commission on Industrial Farm Animal Production - Formed to conduct a comprehensive, fact-based and balanced examination of key aspects of the farm animal industry. Commissioners represent diverse backgrounds and perspectives and come from the fields of veterinary medicine, agriculture, public health, business, government, rural advocacy and animal welfare. ProgressiveFarmer - General farming, equipment, livestock, agribusiness news and exclusives. Responsible Industry for a Sound Environment (RISE) [aka PestFacts.org] - A national not-for-profit trade association representing producers and suppliers of specialty pesticides and fertilizers. RISE serves as a resource and advocate on pesticides and fertilizers. Risk Management Agency (RMA) - The U.S. crop insurance federal program is administered by the RMA, which helps farmers survive a major crop loss. About two-thirds of the acreage planted to major U.S. crops is insured, and more than 76 crops and many of their varieties are insurable. South Central Farmers - Calling on all supporters to join against this Holocaustic aggression against the poor working people of South Central Los Angeles. The South Central Farmers are fighting in the courts against eviction, and demanding that the Los Angeles City Council live up to its decision in 1992 to allow our community to cultivate this land to help alleviate hunger in South Central Los Angeles. State of Food and Agriculture 2000, The - Common to the findings here is the fact that progress achieved in the reduction of hunger over the past 50 years has been insufficient, and much is still to be accomplished before hunger is finally eradicated. This United Nations report includes findings on 1) Social and economic impact of agricultural modernization, 2) Food and nutrition security: why food production matters, 3) Agricultural production and productivity, and 4) Political economy issues, poverty and food security. Successful Farming Magazine - In-depth articles and photo albums featuring successful farm families and their businesses. Sustain - Alliance for better food and farming. Advocates food and agriculture policies and practices that enhance the health and welfare of people and animals, improve the working and living environment, enrich society and culture and promote equity. WRepresents 100 national public interest organisations working at international, national, regional and local level. Sustainable Agriculture Network (SAN) - SAN is the communications and outreach arm of the Sustainable Agriculture Research and Education (SARE) program. SARE is a U.S. Department of Agriculture-funded initiative that sponsors competitive grants for sustainable agriculture research and education in a regional process nationwide. Also see Sustainable Agriculture Research and Education (SARE) Learning Center. Sustainable Communities Online - Community efforts can preserve agricultural land, encourage sustainable agricultural practices, support local food producers, and facilitate the production and distribution of locally-produced food through farmer's markets and cooperative food buying programs. This section presents examples of whole systems approaches to sustainable agriculture. TheLandOnline - Minnesota rural life magazine. United Farm Workers (UFW) - Union fighting for decent wages, benefits and working conditions for farm workers. U.S. Code: Title 7, Chapter 36 - Crop Insurance - U.S. Code section providing for a system of crop insurance. U.S. EPA Alphabetical List of Pesticide Fact Sheets - The EPA works to reduce the risks to human heath and the environment by requiring pesticide registrants to report any potential problems with EPA registered pesticide products and with registrants to recall products whenever products are deemed faulty or substandard or could potentially cause injury to consumers or harm to the environment. Also see Publications from the Office of Pesticide Programs. U.S. Farm Service Agency (FSA) - Administers a myriad of programs - farm loans, farm programs, food aid, conservation incentives, and others. USDA (United States Department of Agriculture) - Government agency assisting farmers and ranchers and overseeing farm policy in the U.S.
USDA Agricultural Marketing Service (AMS) - Includes six commodity programs - Cotton, dairy, fruit and vegetable, livestock and seed, poultry, and tobacco. The programs employ specialists who provide standardization, grading and market news services for those commodities. They enforce such federal laws as the Perishable Agricultural Commodities Act and the Federal Seed Act. AMS commodity programs also oversee marketing agreements and orders, administer research and promotion programs, and purchase commodities for Federal food programs. USDA Agricultural Research Service - The U.S. Department of Agriculture's main in-house scientific research agency. Also see ARS science magazine Agricultural Research. USDA Economic Research Service (ERS) - The main source of economic information and research from the U.S. Department of Agriculture. ERS' program encompasses research, analyses of food and commodity markets, policy studies, and development of economic and statistical indicators. Also see ERS Magazine. USDA Economics, Statistics and Market Information System (ESMIS) - A collaborative project between Albert R. Mann Library at Cornell University and several agencies of the U.S. Department of Agriculture. The system contains nearly 2500 reports and datasets. 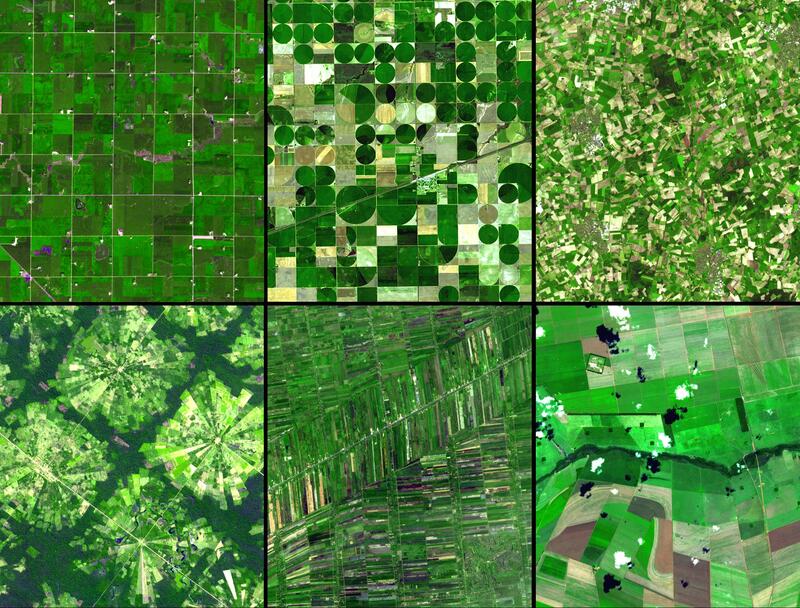 These materials cover U.S. and international agriculture and related topics. Available titles include both current and historical data. USDA Food Safety and Inspection Service (FSIS) - FSIS has the responsibility for ensuring that meat, poultry, and egg products are safe, wholesome, and accurately labeled. Also see Recalls.gov. USDA Foreign Agriculture Service (FASonline) - Works to improve foreign market access for U.S. products. FAS operates programs designed to build new markets and improve the competitive position of U.S. agriculture in the global marketplace. USDA National Agricultural Statistics Service - Provides timely, accurate, and useful statistics in service to U.S. agriculture. USDA Office of the Chief Economist (OCE) - Advises the Secretary on the economic implications of policies and programs affecting the U.S. food and fiber system and rural areas as well as coordinates, reviews, and approves the Department's commodity and farm sector forecasts. OCE staff also coordinates USDA's Agricultural Outlook Forum, which has been hosted annually since 1923. USDA Agencies and Offices - A directory. Wild Farm Alliance (WFA) - Established by a national group of wildlands proponents and ecological farming advocates who share a concern for the land and its wild and human inhabitants. Their mission is to promote a healthy, viable agriculture that helps protect and restore wild Nature. WFA is working to educate growers and certifiers on biodiversity issues on organic farms and have these issues integrated into U.S. National Organic Standards. World Wide Web Virtual Library of Sustainable Agriculture - Extensive directory of links. This webpage last updated on Saturday, September 1, 2018 3:18 PM.